Tainá Guedes was born in São Paulo in 1978; her mother is Japanese and her father was a Brazilian artist. She qualified as a chef at the prestigious Centro Universitário Senac, opening her first Japanese restaurant while still a student. Later Guedes travelled to Japan to study traditional vegetarian shojin ryori. 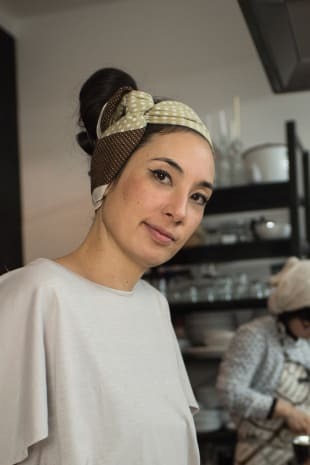 Guedes has run Entretempo Kitchen Gallery in Berlin since 2014, an art gallery with integrated kitchen, devoted to food art and exploring the social significance of food. Tainá Guedes lives with her son in Berlin.